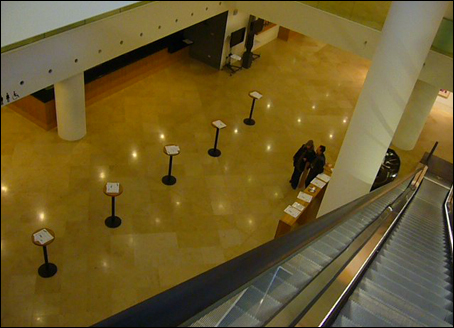 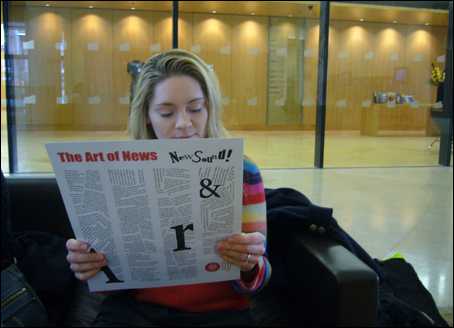 As part of the January 2009 celebrations for the London Sinfonietta moving headquarters to Kings Place (also now home to The Guardian newspaper), 'The Art of News' project was created. 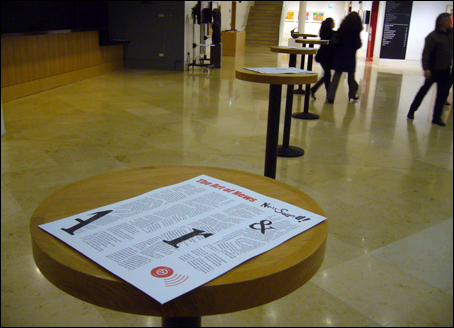 Composers, singers and poets were brought together to create new material inspired by the daily news, resulting in performances, cabaret and readings over several days and evenings. 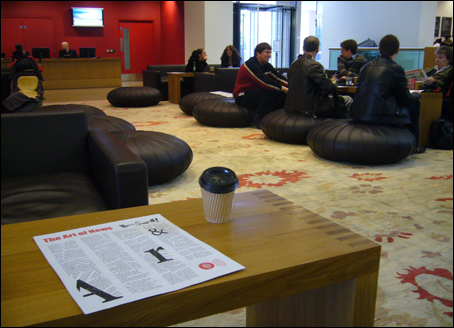 Patrick Furness and I were asked to create an installation that would deliver music to people in the cafe area of the Kings Place atrium. 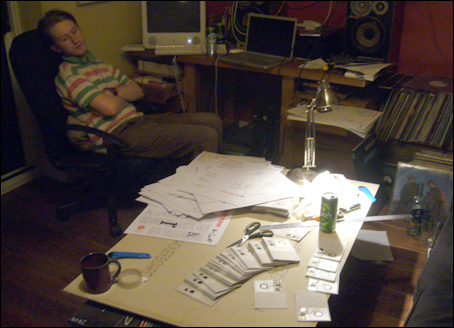 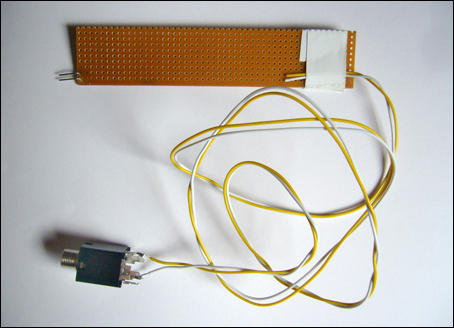 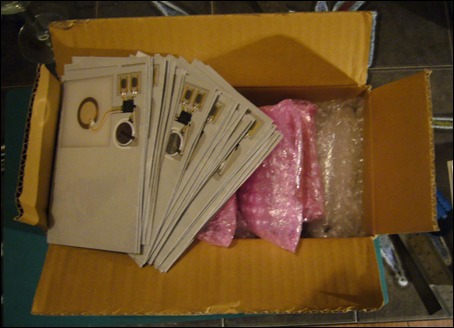 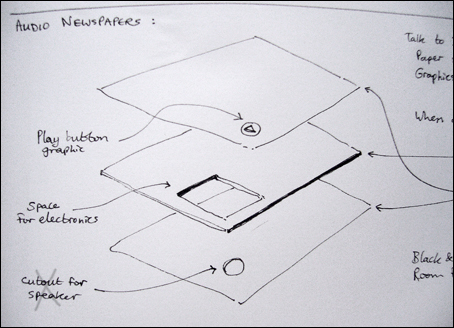 We responded by creating 100 audio 'newspapers', each containing super-thin cutting edge circuitry that could play back 20 seconds of audio when a certain area of the paper was pressed. 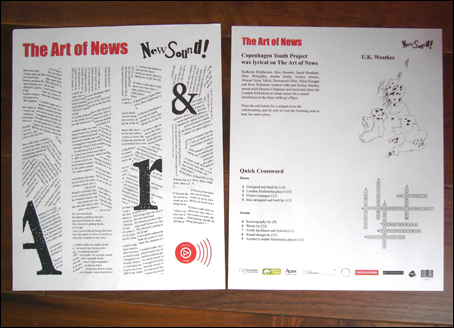 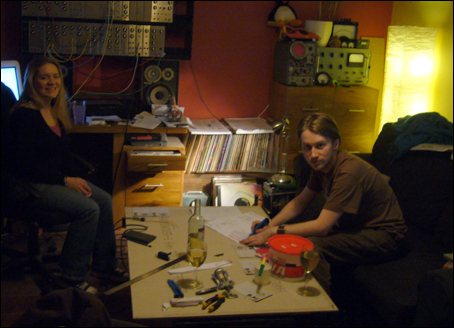 The music included in the newspapers was created by sound artist Duncan Chapman, who worked with members of the London Sinfonietta and the Copenhagen Youth Project, along with poet Kenny Baraka. 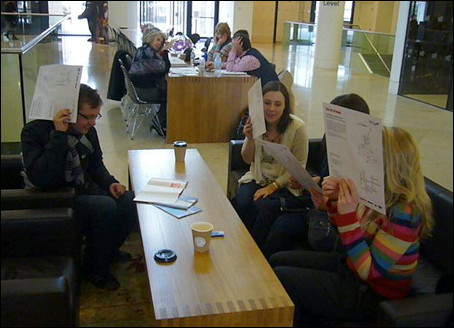 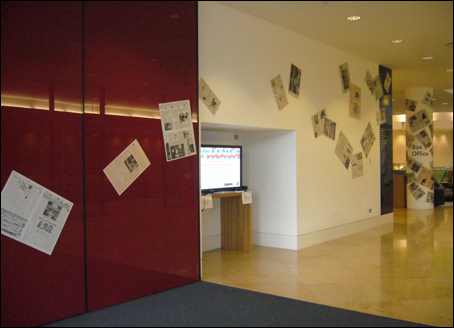 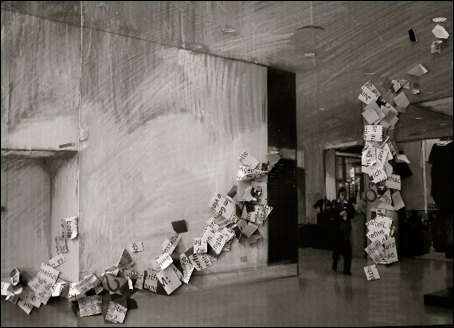 Visitors were met by a collection of newspapers from around the world spread along walls of the main entrance, which led to the audio newspapers distributed around the coffee tables and sofas. 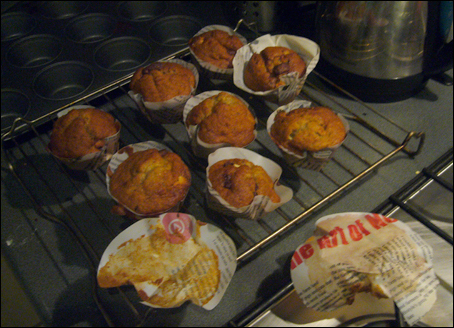 and the last few leftover pages were recycled as muffin cases.